Former Barcelona midfielder, Xavi Hernandez has stated that his former teammate Messi, gets pissed off if he is not given the ball. He also believes Argentina can win the 2018 World Cup but they must not leave his former club colleague without the ball. Xavi and Messi played alongside each other in Barcelona winning seven Liga titles together, until Spain international Xavi left for Qatari club Al Sadd in 2015. Messi is not finding life easy on international duty, having failed to score from open play in 2017. 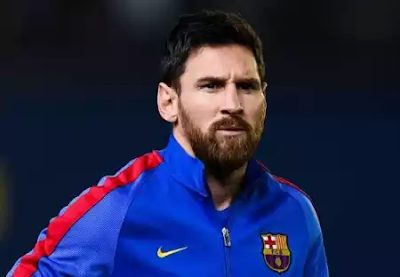 But the midfielder told Sport, “Barcelona and the Argentine national team cannot afford to allow 10 minutes to pass in a game without Leo Messi touching the ball. “Messi has to be involved in the game. He has to be where things are happening, where the ball is. Argentina will face Peru in Thursday evening’s crucial World Cup qualifier, with Jorge Sampaoli’s men currently on course for play-off with New Zealand. Xavi added, “I think Argentina are capable of winning the World Cup next year. “It’s true they’re in a difficult situation in South American qualifying, but we can all agree that if they qualify for the World Cup they will be one of the favourites. “Because of the players they have and because I think they’ve got it right with the new manager [Sampaoli].